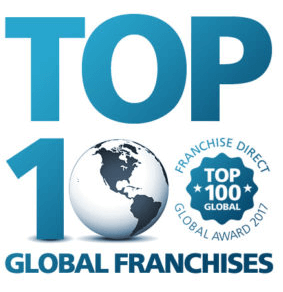 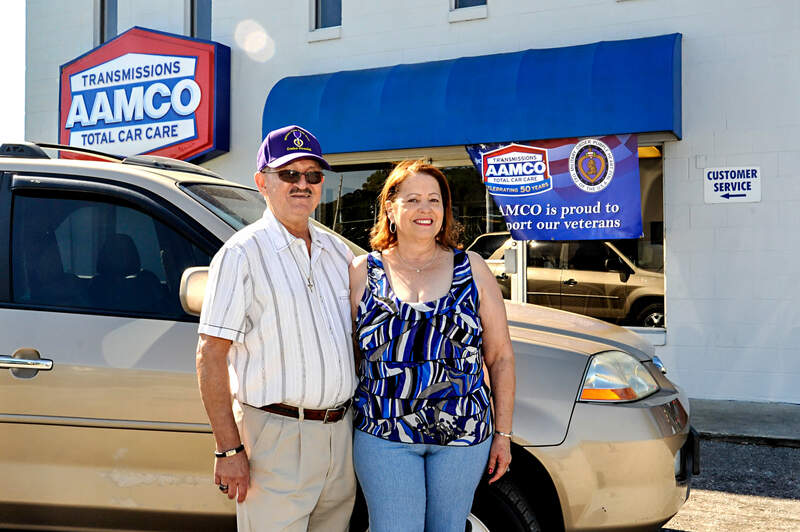 After more than half a century as one of America's most iconic franchise systems, AAMCO continues to drive towards a bright future. 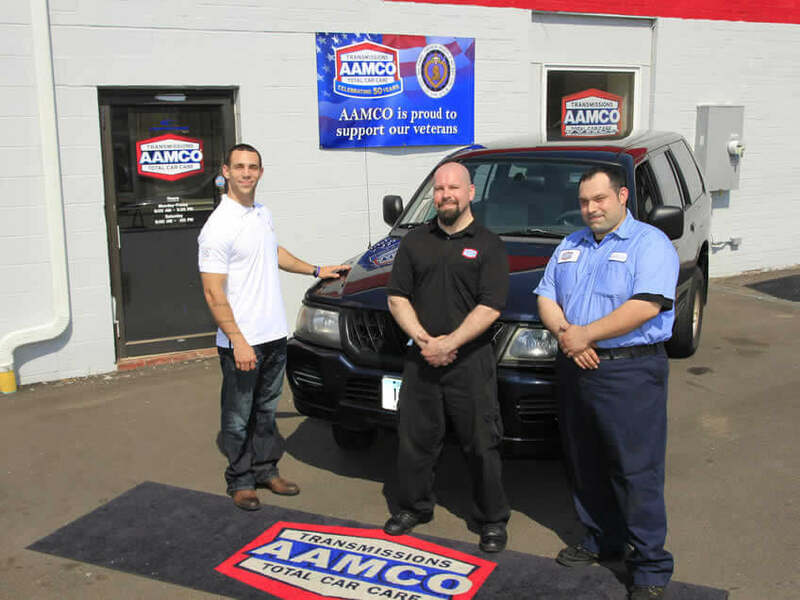 AAMCO announced today it has expanded in Oregon with the opening of its first location in Medford. 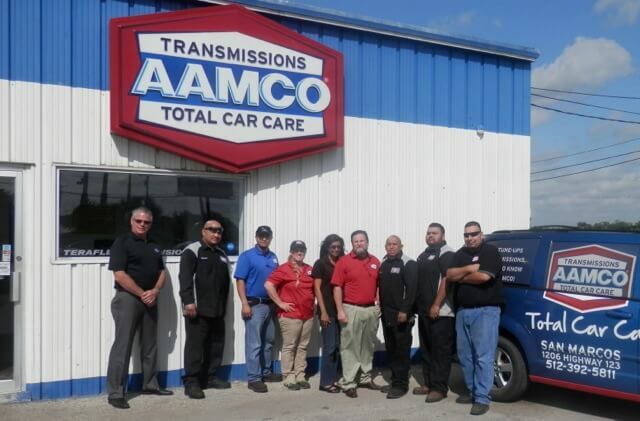 AAMCO announced today that it plans to open 18 new service center locations with new and existing franchisees across the country. 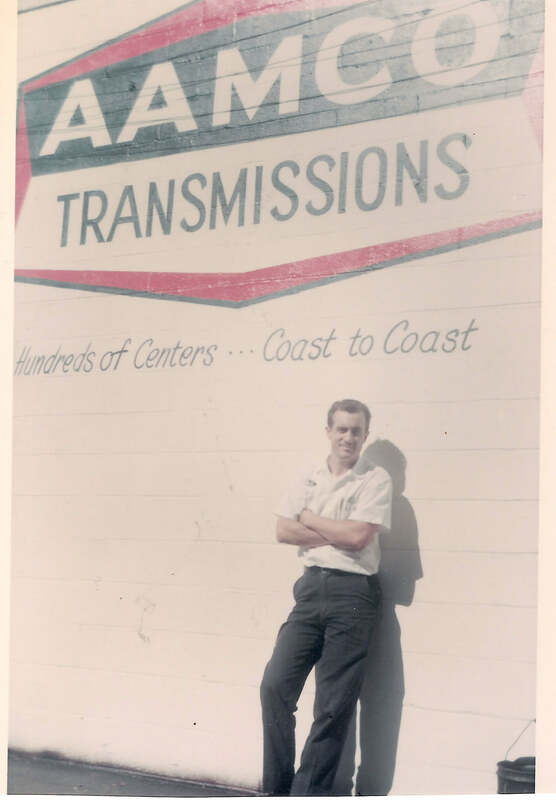 AAMCO proudly recognizes its longest-tenured franchisee, Bill Harrison, for his remarkable 50-year anniversary with the brand. 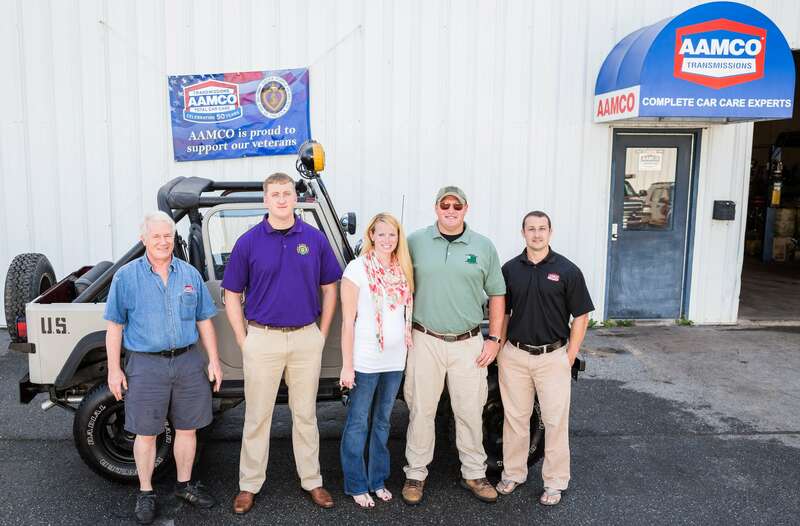 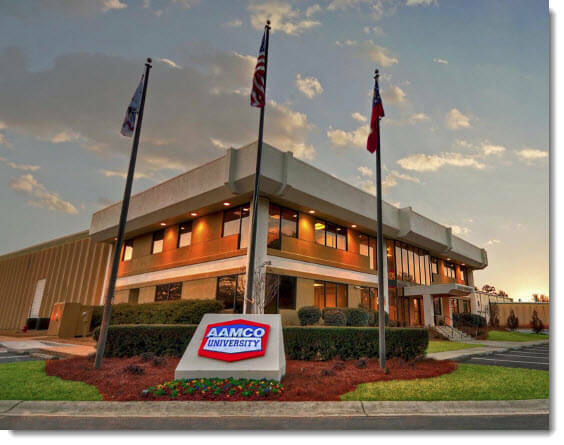 AAMCO has expanded in South Carolina with the opening of its first location in Summerville on Feb. 1. 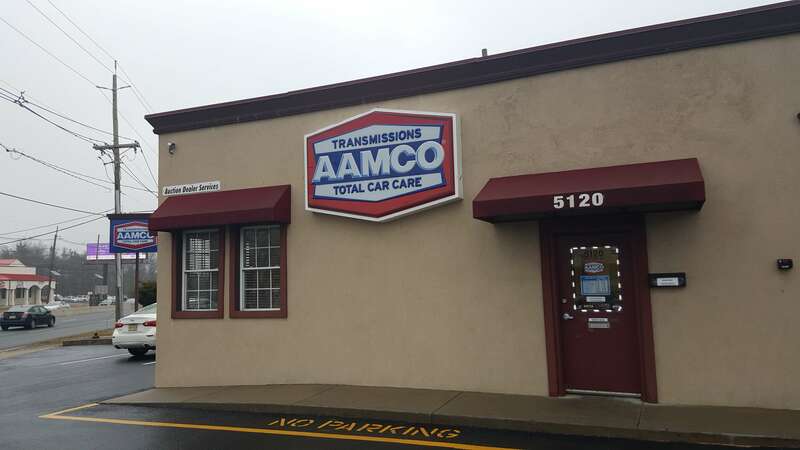 The newly renovated Pennsauken service center features five service bays which offer transmission, fleet service and total car care. 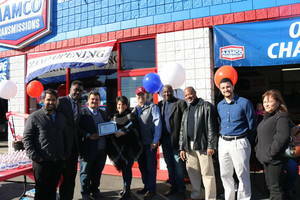 The new auto repair shop is located at 1106 West Main Street and features transmission, auto repair and fleet services. 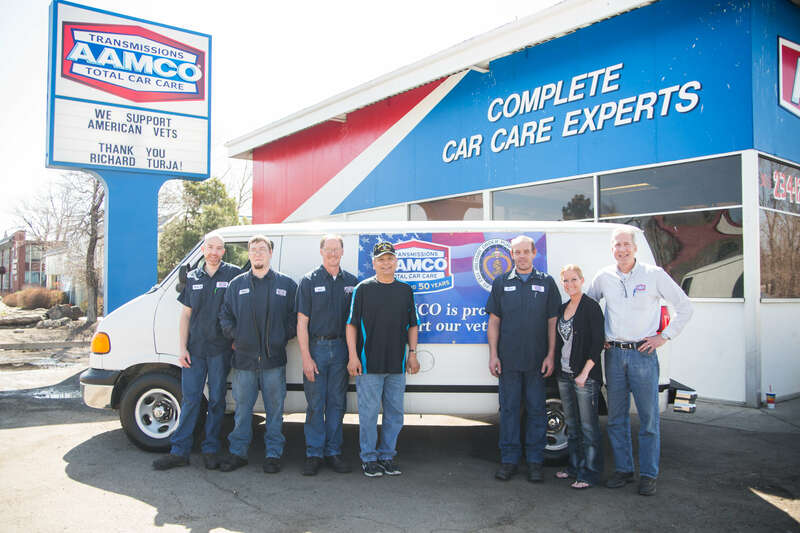 The AAMCO Car Care Center network grew by 21 locations in 2016 with as many as 68 more in the queue for 2017. 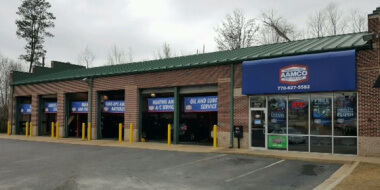 The new auto repair shop is located at 5575 Wendy Bagwell Parkway and features transmission, auto repair and fleet services. 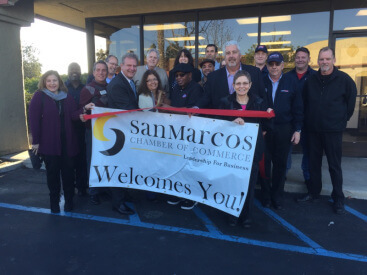 The new auto repair shop is located at 1286 West San Marcos Boulevard, Suite 100 and features transmission, auto repair and fleet services. 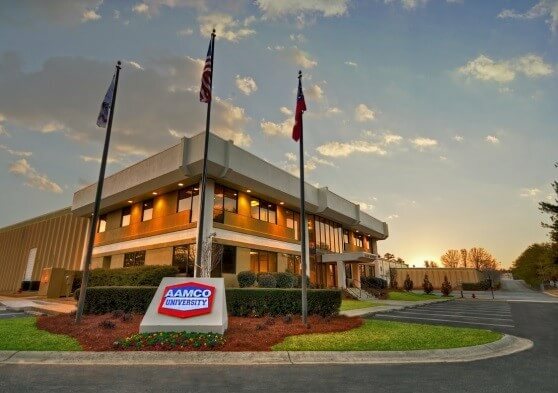 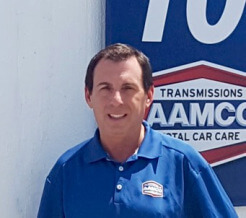 AAMCO announced today the opening of its latest center in Norman, Oklahoma located at 922 N. Flood Ave.
Today AAMCO announced its Brampton, Ontario service center has a new owner. 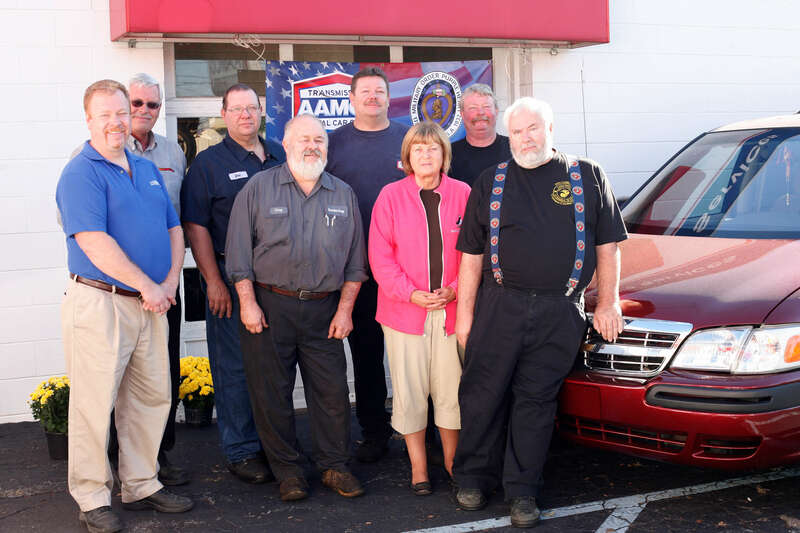 Sam and Sherri Underland, relocated their AAMCO franchise on Bristol-Emilie Road to a new, larger service center, which features 10 bays. 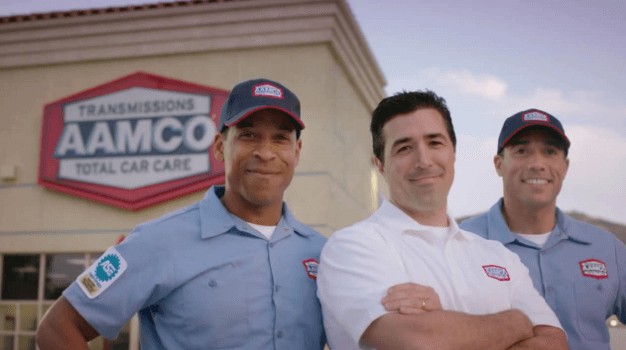 AAMCO has selected LoanHero, a disruptive consumer-lending platform, to provide enhanced consumer financing options to its franchisees systemwide. 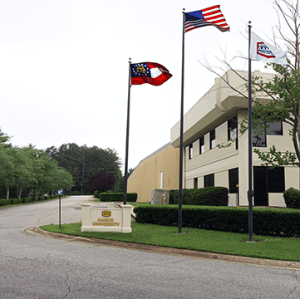 The state-of-the-art training facility in Newnan, Georgia celebrated with a ribbon cutting ceremony and an all-day open house. 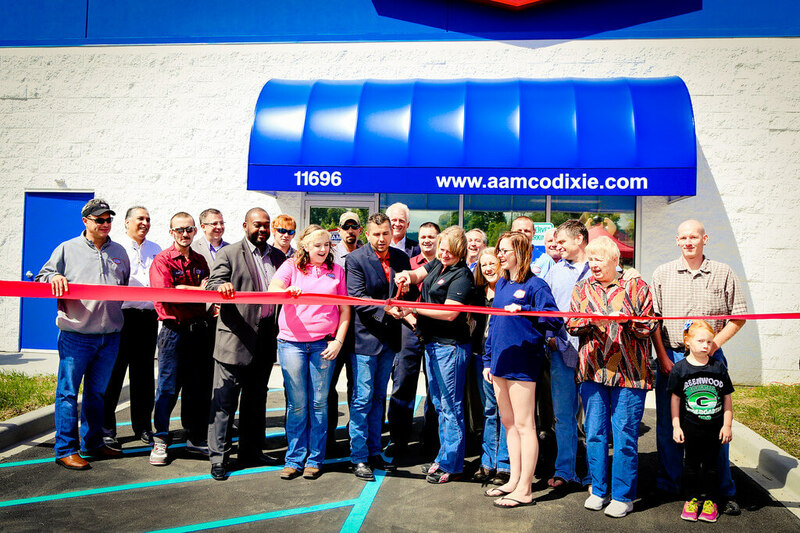 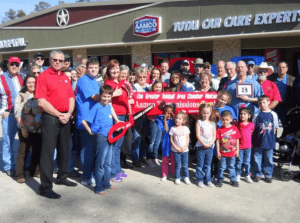 AAMCO Dixie Super Center is open for business! 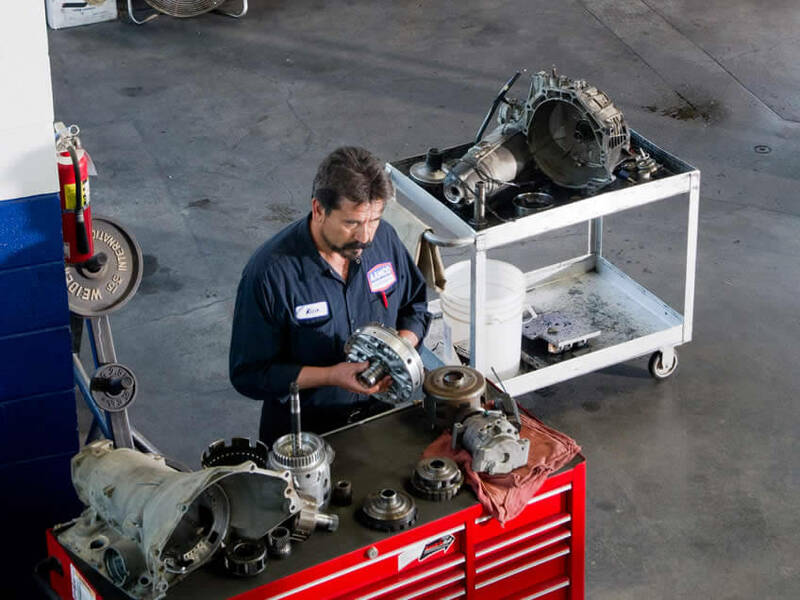 We just launched “800 Pieces”, which focuses on the heart of a vehicle: the transmission. 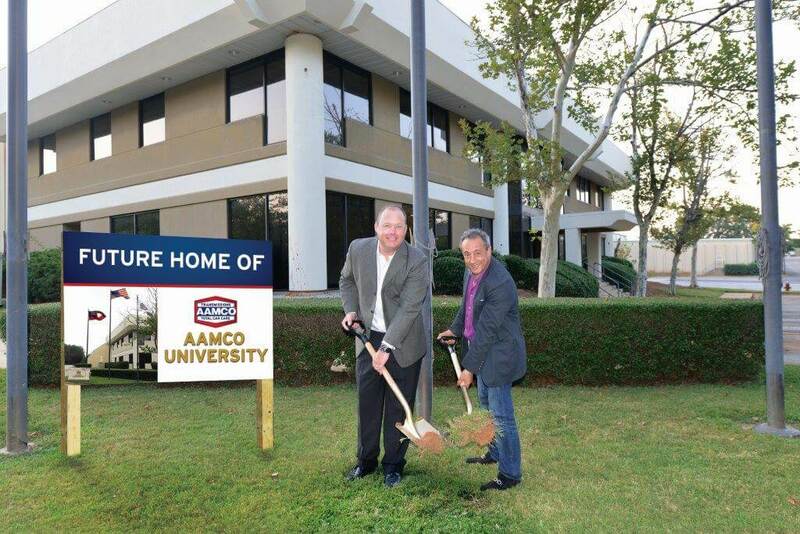 AAMCO is pleased to announce the opening of AAMCO University, a state-of-the-art training facility in Newnan, Georgia. 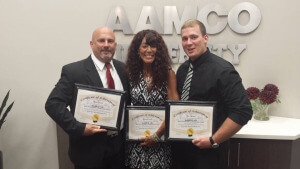 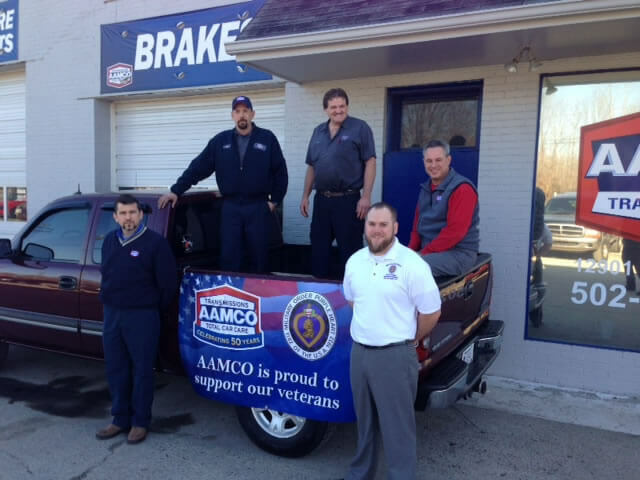 AAMCO has a new service center near the Washington, D.C. metropolitan area! 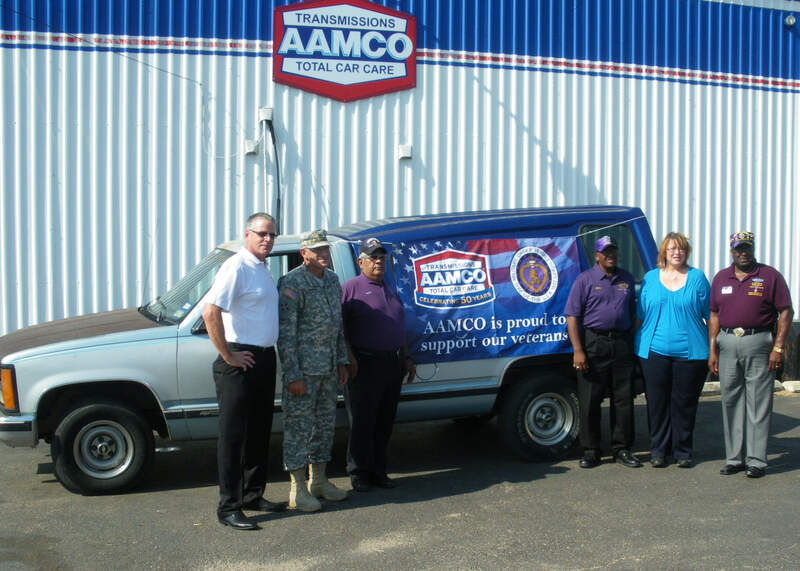 The new center brings AAMCO’s total number of greater DC Metro service centers to 27. 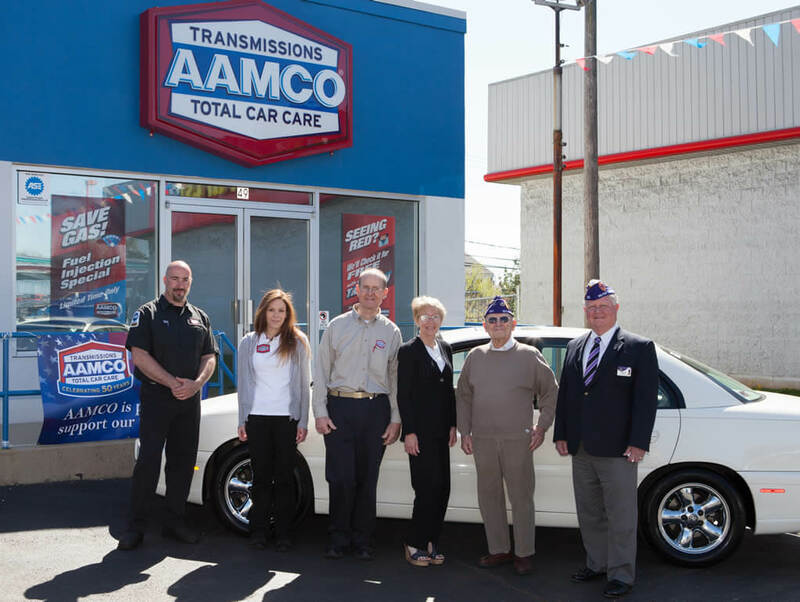 Thank You AAMCO Santa Ana! 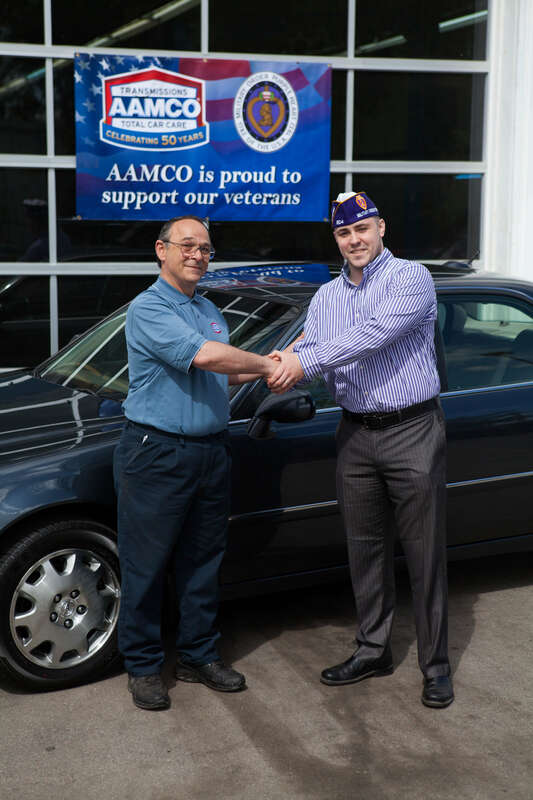 Justin E. Laramie is a U.S. Marine Corps veteran from North Chittenden, Vt.
Matthew Gibbons is a U.S. Marine Corps veteran from Glastonbury, Conn.
AAMCO Customers: A note in regards to AAMCO advertising on the Rush Limbaugh radio program. 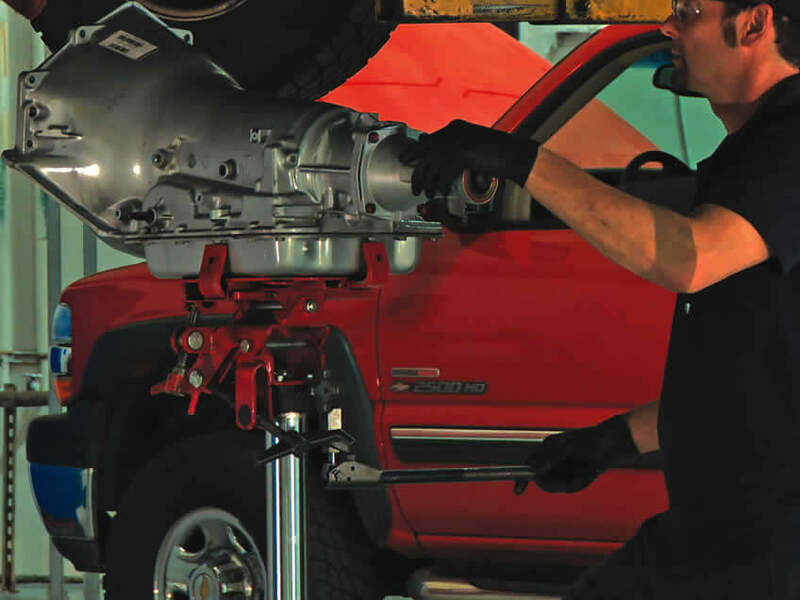 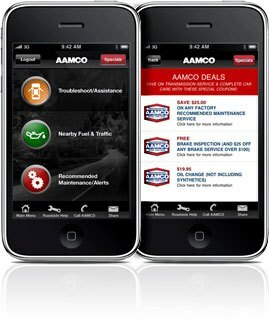 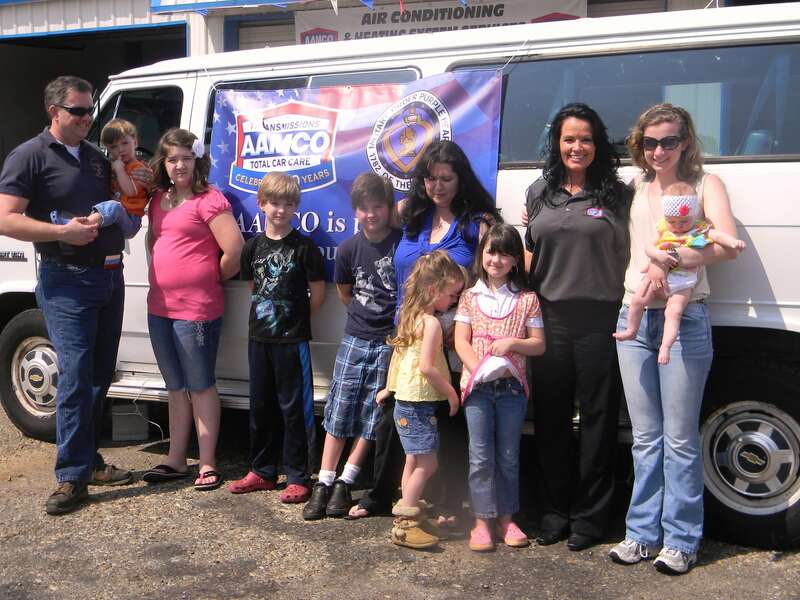 AAMCO stores are locally owned and operated, and each make advertising purchasing decisions at their own discretion. 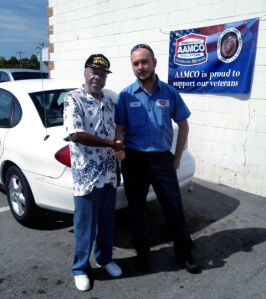 Eduardo Figueroa is a U.S. Army veteran from Orlando. 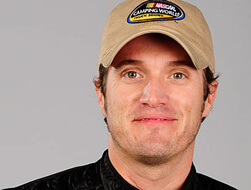 Kenith Chase is a combat-disabled veteran from Sandown, N.H. 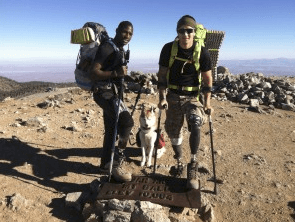 He served as a U.S. Army Sergeant E5 in the Iraq War. 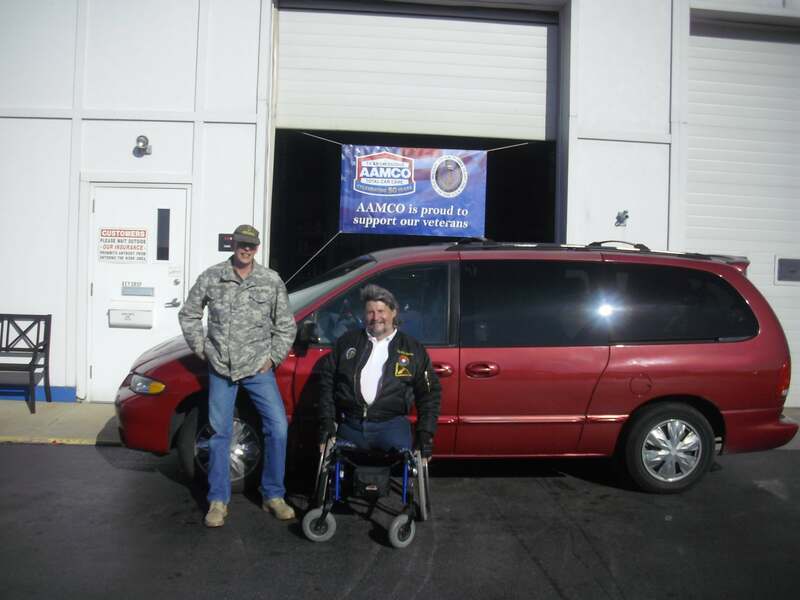 John Kapior and Dan Finn are U.S. Army veterans from Oak Lawn, Ill.
Raymond P. Hait, a life-long Charlotte resident, is a combat-disabled veteran. 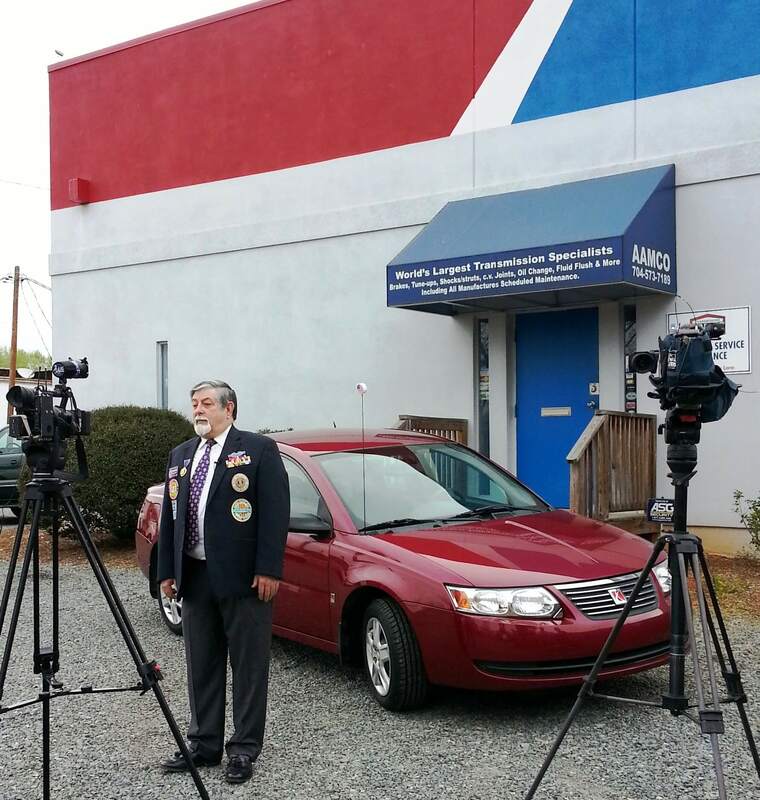 Ed Coates wasn’t the lucky winner of a grand prize drawing. 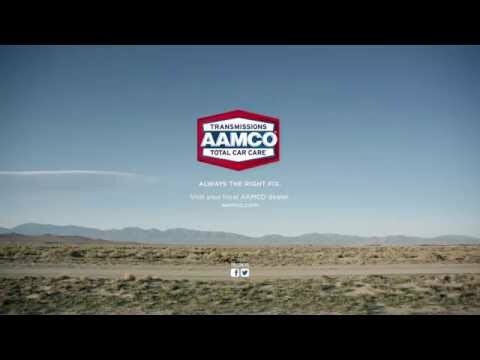 Thanks to all of the Phoenix AAMCO dealers for stepping up! 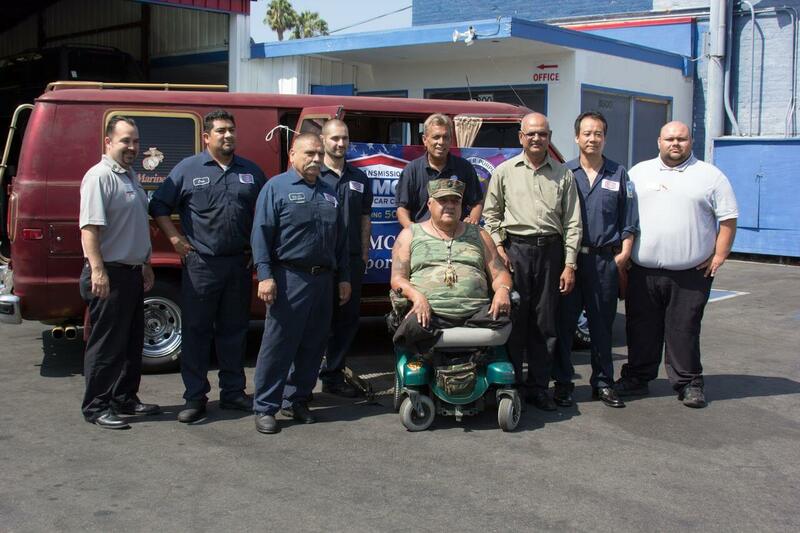 Read News Coverage of our Second Selected Veteran! 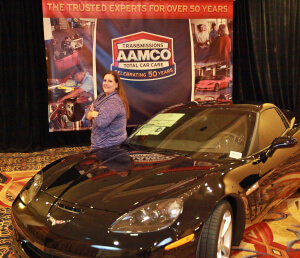 The 50 Cars in 50 States AAMCO Initiative Kicks Off!